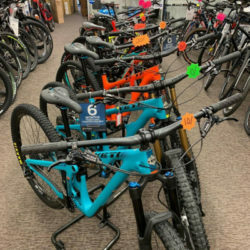 Blacktop Cyclery is Bakersfield’s Newest Bicycle Shop! 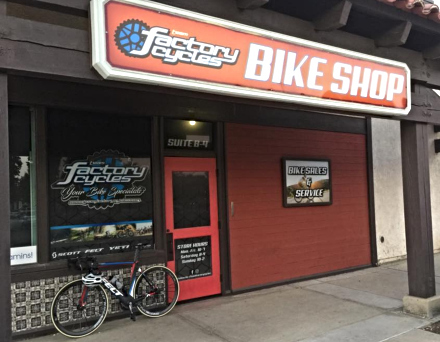 First established as a full service mobile repair shop in 2009, we quickly saw the need in the community for a brick and mortar store that offered the type of bicycles, parts and accessories that fit the need of the majority of riders in town. Our specialty is CUSTOMER SERVICE. We also carry alternative lines of bikes not normally found locally, and we welcome different kinds of work – classic restorations, conversions (Single Speed & Fixed Gear) and frame prep, as well as full custom builds to best suit the rider. Our offerings are selectively chosen to offer you the best quality and value for you hard earned dollar. Special orders are never an inconvenience for us… please never hesitate to ask us for something we may not currently have.